It’s crunch time. I’ve been without a decent notebook for months and with CES fast approaching, I need to make a decision. I have a short-list of Ultrabooks and because there’s no-one in this room to discuss it with, I’m going to talk to myself. I’ve tested three devices on the ultra-low voltage 2nd-gen Core platform so far and I really like what I see. The dynamic range of processing is just what I need; Quick Sync Video is the solution for my on-the-go video crunching and upload tasks, 1080p video playback is going to be great for home use and at around the 1KG mark, it meets my portability requirements spot-on. 5hrs is the battery life target for average use although anything more than that makes a day on the road less stressful! The Ultrabook platform delivers the perfect balance that I need right now. I have considered the MacBook Air 11.6” The price is right and it’s got style. The battery life and performance are both a little above what you get with an Ultrabook too due to the focus that the OS-X engineers can have on the few platforms that it’s targeted at but I’m a Windows user and unable to switch to OS-X at this stage. The learning curve would knock me back a long way. There’s also a problem with Intel Quick Sync video. As far as I know, iMovie is CPU-bound and doesn’t support hardware acceleration. You may correct me on that if I’m wrong. I’ve also looked up and down the range of Ultrabook alternatives too but I’ve set my lower CPU limit at Core i5 because I want the Turbo Boost feature so that cuts out many of the lower cost solutions, especially when your target weight is 1KG / 2.2lb. 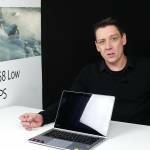 In fact, that weigh limits it down to very very few solutions outside the Ultrabook category and in the $1000 price bracket! Acer S3. Low cost but the HDD is a no-go for me. It might boot fast but I need an SSD all the time. ASUS UX21. The price is right for a Core i5 Ultrabook with a super fast 128GB SSD but I’ve tested it and couldn’t get on with the keyboard. That’s a serious showstopper that one can not work around. Toshiba Z830. This was my favorite device until I read about the slow write speed on the SSD. It’s slower than an average hard drive although boot times and application startup times do seem to be relatively quick due to fast read-speeds. I love the ports, the weight is fantastic for a 13” notebook and at 1000 Euro, it’s coming with 128GB and a Core i5. That SSD is not a show-stopper but it does worry me that I won’t be getting the best out of the system. ASUS UX31. I haven’t tested this but I hear that it has the same keyboard mechanics as the UX21. I can’t risk that. Lenovo U300s. There’s no keyboard backlight or SD card but I can live without that. At 1.3KG it’s not the lightest either although it has a 54Wh battery. There’s quick-charge too if you are able to take the charger with you. I wonder how much that weighs! Reports on the keyboard are very positive. Coming soon…The HP Folio DM3 is one to watch but it’s really relatively heavy at 1.5KG. Yes, it has a bigger capacity battery but it’s 50% more than my ideal weight. It’s not in my top-list. One non-Ultrabook solution that did climb right up my wish-list this week was the Samsung Series 9 900X1B. It’s a fantastic bit of kit and has a wonderful screen, great keyboard and is super efficient. I’m using it now and in battery saving mode I could continue typing from a full charge for at least 7 hours. Like other solutions though, there’s a gotcha. The WiFi isn’t the best. At home I don’t have any issues as I have hotspots in all the right places but in a walk-away test I saw it drop in speed faster than many other devices I’ve seen recently. It’s going to be a real problem in a press-conference situation – exactly where I might need it. The other problem for me is that I wanted a full-size SDXC slot. It has a useless micro-SD card slot. I’m not a fan! There’s a silly little Ethernet adaptor cable too but that won’t worry me too much. I’ve got three Ultrabooks in my sights right now. Strictly it’s two but the Samsung Series 9 is so close to an Ultrabook that I’m bundling it in. (hey, 5 second startup instead of 3 seconds and only 5-10 days standby – I can put up with that!) Remember, I’m located in the EU. #1 Toshiba Z830. (13.3”, Core i5, 128GB) I’ve enjoyed hands-on with the Z830 and read great reports about it. The ports, weight and features match my requirements well but that SSD write speed is something that worries me. I’m testing the Z830 in about a weeks time. The price in the UK is a little higher than in Germany where 1000 Euros is spot on. I may even be prepared to have the German keyboard/language at that price! 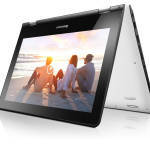 #2 Lenovo U300s. (13.3", Core i5, 128GB) I’ll give-up the SD card and keyboard backlight if the U300s has a great keyboard and battery life but do I want 30% more weight than the Samsung Series 9? The price is right at 1000 Euro. Hoping to test before Christmas. #3 Samsung Series 9 900X1B (11.6”, Core i5, 128GB) is available now in my price bracket. I’m confident that the screen, keyboard and design fit my requirements and the 1.06KG weight is so light that it’s hard to believe what’s packed inside. That WiFi is a major worry though and the price is the same as the Z830 above. I have a few weeks to make a decision but not much longer as I leave for CES on the 7th Jan and I need a week or two to get everything set-up just as I need it! Got thoughts on the my Top 3? Let me know below. Chippy, a very good summary. I’ve been following your site since Sep with very much similar thoughts as you have. From what is (will be) available prior to Xmas 2011, my choice is (would be) Toshiba Z830. Full-size ports are important to me (incl. standard RJ45), I do not want to carry the reductions, etc. I am aware of the SSD issue, still not sure how much I will be able to experience the difference in real-life (with exceptio of copying 8GB mkv file for evening entertainment on home theather). And after the report of potential upgrade to SATA3 SSD, perhaps even with 256GB capacity in future, this is not /would not be a show-stopper for me. … On the other hand, I am sure that prices might go down just after Xmas and perhaps after Jan CES 2012 new announcements. Luckily, I am not forced to make decision now prior to Xmas, so eventually I decided that I will wait till January (unless my current TP crushes and I need a replacement ASAP). Otherwise, the ultrabook concept fulfills my need (light, powerfull, good batery life) and I am too conservative / lazy to learn new stuff like OS-X. Thanks for your work. Cheers, P.
1. I got my Series 9 for a very good price ($1000 USD at Best Buy on sale last week). 2. 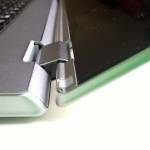 The Series 9 laptops have a flaw in which the original design cannot properly receive wireless signals because of a combination of the duralumin chassis and the antenna placement. The newest iterations of the laptop (like the B01-UB I bought at Best Buy) have 3 antennas instead of only 2; the 3rd is placed behind the screen and fixes this issue. If you get either Series 9, make sure that the wireless has 3 antennas (listed as “(3×3)” instead of “(2×2).” If you do end up buying either Series 9 (11″ or 13″), and you absolutely can’t get a version with the fixed wireless, consider buying a micro usb wireless adapter, likes this (http://www.amazon.com/AirLink101-AWLL5088-Wireless-Ultra-Adapter/dp/B003X26PMO/ref=sr_1_3?ie=UTF8&qid=1323096491&sr=8-3). 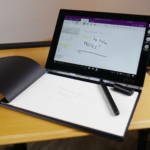 The Lenovo seems great on paper and according to the reviews I’ve seen. Unlike all other Ultrabooks, its only potential deal-breakers are things that are utterly insignificant for some users (namely the not backlit keyboard, so-so screen, and no SD slot). In a similar vein as the Series 9, the U300s simply seems to have an aura of quality. The biggest problem I have with the U300s is simply that it doesn’t seem to be in any retail stores yet, so I couldn’t test it out in person. The Toshiba seems great on paper, but as you pointed out, the slow SSD can be a show-stopper for some. Furthermore, I highly recommend you go to a retail store to see it yourself. There are a lot of things about that laptop that I (from personal preference) dislike. Among them are the cheap-seeming materials, absurd screen flex, odd keyboard layout (in terms of key shape; it’s at least hard for me to deal with), touchpad buttons, etc… All in all, the Toshiba didn’t impress me when I saw and used it at Best Buy like I believe an Ultrabook should. I hope that’s helpful. Thanks so much for running this site, by the way! Some of my friends and I really appreciate it as a news source and comparison tool. A series 9 for $1000 (core i5) is a fantastic price. High price is one of the reasons the 13″er is not on my list. I reviewed there a few months ago. Is there a way to tell from the wireless adaptor model which is 2×2 and which is 3×3? Really good summary. I’m thinking almost the same way. If the Toshiba will get SSD upgrade it will be fantastic. 1. A specific model is known to have the 3rd antenna (for example, the B01-UB had fixed wireless according to multiple users, including someone on the notebookreview.com forum who posted a picture of a wifi antenna wire going up behind the screen (with the bottom of the laptop removed). 2. The box of the laptop might say. At Best Buy, the package was in a relatively plain cardboard box with a few white labels indicating the product inside. One of the labels mentioned “Intel Centrino abgn (3×3)” or something like that on my box, confirming that the laptop inside that box had the 3rd antenna. 3. (Not sure if this will work) At a retail store where you can demo the Series 9, open Device Manager, and it should say (2×2) or (3×3) under “Wireless Adapter” or something like that. So it sounds like that if you’ve got Intel centrino wife you’ve got the 3×3 and probably a wi-di bonus. Here’s a pic of the label from my box. I’ve sent a query to Samsung. Thanks for feedback. Hello Chippy, that was a great summing up of the current state of affairs. I just went over to the german amazon.de site and I am getting uneasy … so far I favoured the z830 and i am bound to make a descicion soon due to pre-christmas time constraints .. I finally found two customer comments on the z830 and both commented on a constant irritating fan noise (which caused one of them to return it right away ) :( that would not be something i fancy at all. what am i gonna do ? i simply dont know. 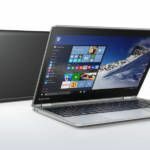 I like the 13.3 inch form factor should I go with the Samung series 9 and yet the mini ports .. but noise which would interfer while I chat like on my older toshiba satellite 17 incher I dont like that prospect one bit. All the other things matte screen, full grown ports ect. ect. speak in its favour. Remember that in general, German reviewers are extremely hard to please! (its true in general, I’ve found) so I’m not sure quite how loud the fan really is. Ill tell you next week. So far the UX31 is working well for me. The keyboard is a relatively minor issue for me since I don’t type long texts. Battery is holding ~6 hours (wifi on, screen lowest brightness), but the main upside for the UX31 is the 900P screen. After using the laptop (stupid ultrabook marketing term) for a while now I wish that there is a 900P 11.6″ version. 768P just doesn’t cut it for referencing material with two windows side by side, especially when I am coding. I used the P1620 before. ~768P on an 8.9″ screen. DPI was fine for me. AFAIK 900P on 11.6″ should have lower DPI than the P1620. you’re such a traitor Chippy! you’ve gone from >11″ UMPC’s, netbooks, ultraportables to mainstream sized 13″ laptops that “normal” people buy. whats next, 9lbs super thick 17″ Alienware gaming laptops with neon lights?!?! I’ve explained a few times why I’ve stepped up a notch. A lot of it is to do with my Galaxy Tab and the move to 720p video. Sandy Bridge is the only solution for me so keeping it close to 1kg with a keyboard is my new challenge. Suspect many others are in the same boat. After reading this and the comments I am very happy to have chosen the MacBook Air (core i7 256GB SSD) as my Windows Ultrabook. After an initial struggle trying to run Windows in the virtual machine in OSX (which gave poor performance), I switched to BootCamp Dual Boot with Windows and will probably remove OSX all together when I upgrade to WIndows 8. I have a good looking, quality machine that is silent (unless you work it quite hard), and the only learning curve was the Mac function key equivalents to pg up/dn, Home/End etc. The cost is high but not all that much different to similar Ultrabooks (apart from the need to by a Win7 licence). Satisfaction and user experience over the next few years of ownership outweigh any cost differences in initial purchase. As far as ports go I can live with carrying a couple of adapters around that will sit in my bag forgotten until the rare occasions that I will need them to plug into a wired network or connect to a VGA projector. The MBA also includes Intel’s next generation Thunderbolt port that will come on future Windows machines, but is not yet on the current generation of Ultrabooks. For my use this was a winning combination. I agree with you that the Z830 is my favorite. I played with one at a BestBuy and its really nice. It feels a bit toy like due to its light weight, but I wouldn’t say the materials are cheap. The full sized ports are a must, though though a bit sad that Toshiba went with HDMI instead of DisplayPort considering its more business oriented design. If I didn’t already have my X220, its the only ultrabook that would be a serious consideration for me, or at least until we hear more about the Dm3. Excellent overview as usual, Chippy! Although I’m not in the market for one right now, I enjoy reading your observations about this new devices….as well as the comments by others here…. And now that many of the new Samsung Series 9 have dropped their prices (price is not really that much of a concern anyway since I keep laptops for about 4 years), should I take one of those instead?? Just in case anyone on the US shores is looking at the Toshiba ultrabook, Bestbuy has it on sale currently for $699 USD. i3/128GB SSD. I think at that price point it is pretty sweet considering it has better features than the Acer at a lower price.